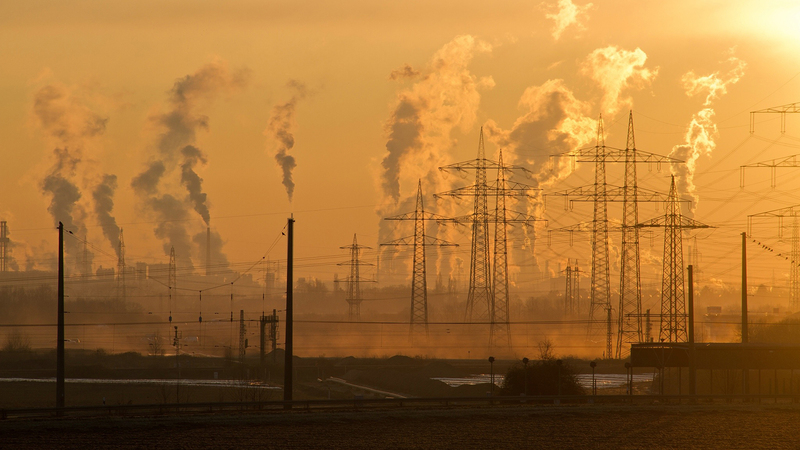 Air pollution driven by the burning of fossil fuels cuts global average life expectancy by nearly two years per person, according to a first-of-its-kind study by the University of Chicago’s Energy Policy Institute (EPIC). A 2017 report by the Global Commission on Pollution and Health identified pollution as the leading cause of death and disability in the world. But researchers at EPIC have now further established that emissions of airborne particulate matter – a mixture of small particles and liquid droplets in smoke that can affect the heart and lungs if inhaled – pose the single biggest threat to human health globally. In fact, air pollution’s impact on life expectancy exceeds that of communicable diseases such as tuberculosis and AIDS, behavioral killers like cigarette smoking and even war, according to the study. The findings are based on EPIC’s new Air Quality Life Index, which charts the relationship between long-term exposure to particulate matter and life expectancy at the local level. Unlike previous efforts to demonstrate the health effects of air pollution, the new index isolates the effect of air pollution from other factors that impact health. It also estimates the loss of life expectancy for the average person, compared to previous studies that reported only the number of people who die prematurely from pollution-related illness. Carol Browner, former head of the U.S. Environmental Protection Agency, said in a statement that EPIC’s new index “is the first tool of its kind” to illustrate the specific benefits from reducing particulate matter. Many past efforts to illustrate health risks from air pollution have relied on graphics that use colors to represent various degrees of risk, said Michael Greenstone, EPIC’s director, in a statement. Using the new index, Greenstone and his colleagues determined that India and China, which make up just more than a third of the world’s population, account for 73 percent of all years of life lost due to air pollution. On average, people in India would live 4.3 years longer if their country met World Health Organization guidelines for particulate matter emissions, according to the study. Although air pollution is less of a problem in the U.S., Americans living in the country’s most polluted counties could expect to live up to a year longer if their areas met the WHO guidelines, researchers found. Overall, the index shows that air pollution reduces average life expectancy by 1.8 years per person worldwide. By comparison, cigarette smoke leads to reduced life expectancy of about 1.6 years. Alcohol and drug use reduce life expectancy by an average of 11 months, while AIDS cuts four months off a person’s life on average. Visit EPIC’s website for more information about the new index and related study.